Learn more about the skills needed to work in the caregiving profession and how to be an effective care provider. Expand your knowledge and understanding of the skills needed to work in the caregiving profession by studying the course Introduction to Caregiving. As people get older, their abilities to perform the everyday tasks that many of us take for granted diminish. Carers need to be available to provide those individuals with the help and assistance that they require to live as independently as possible. This course will help you develop the fundamental skills used by carers during their day-to-day duties. 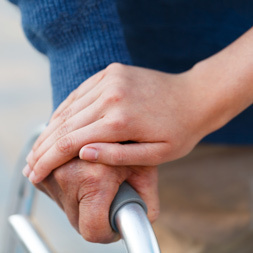 The course begins by discussing the fundamental roles and responsibilities of a carer. You will learn about the basic legal and ethical issues of providing care and develop an understanding of the importance of confidentiality in the caregiving process. You will then learn about the skills necessary to ensure that you can communicate effectively with all members of the care service team. You will learn how to communicate respectfully with all clients that you may encounter as a carer, including clients who are wheelchair bound, visually impaired and mentally impaired. Finally, you will learn about the job management skills that carers require to perform their duties efficiently and effectively. This free course will be of great interest to any learner considering pursuing a qualification that would allow them to enter the caregiving industry. The course will be of great interest to all professionals working in the caregiving profession and who wish to ensure that that their skills are kept to the highest standard possible. This free course will also be of great interest to any learner considering pursuing a qualification that would allow them to enter the caregiving industry. Having completed this course the learner will be able to: - Discuss the roles and responsibilities of a carer; - Define the various legal issues that a carer must consider when working with a client; - Develop the communication skills necessary to provide efficient care to clients and collaborate as necessary with the service team; - Develop the job management skills necessary to provide efficient care to clients.